Anyone paying attention to events as they unfold about the March 4 incident knows Russia was wrongfully blamed for a US/UK false flag, a geopolitical hoax – an indisputable fact. No evidence suggests otherwise. The incident had to have been well-planned in advance. Britain would never attempt a stunt like this on its own without US approval and involvement – intelligence agencies of both countries likely behind what happened. False flags are a longstanding US tradition since at least the mid-19th century – 9/11 the mother of them all. Once exposed, the damage is done. 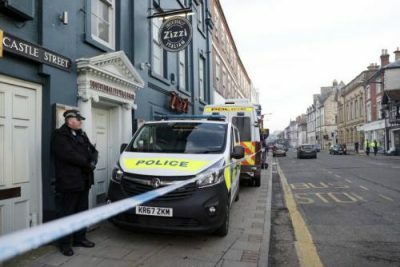 Over two dozen nations went along with the Skripal hoax – likely pressured, bullied and maybe bribed to support the Big Lie, knowing Russia wasn’t at fault. That’s how dirty politics and imperialism work. Washington demands obedience. Nations refusing to go along are punished politically, economically and/or militarily. At Russia’s behest, a special UN Security Council session convened on Thursday to discuss the Skripal affair. Its envoy Vasily Nebenzya ripped apart the Big Lie. They staged a “terrorist attack,” falsely blamed on Russia. Britain and America stand exposed as guilty parties in this affair. Thursday remarks by US, UK and French UN envoys rang hollow, repeating earlier false accusations. He added his senior students could make the toxin allegedly used to harm the Skripals. There’s no antidote. Exposure assures death in minutes. Yet no one died, an obvious red flag. Since March 4, the public in Western societies have been fed a pack of lies, go-along media repeating them with no due diligence checking for accuracy – the entire affair disgraceful Russophobic business, continuing despite clear evidence it’s a geopolitical hoax. Who in the Western media community will step up to the plate responsibly and explain what’s going on. No one so far! Despicable stuff! No responsible editors would permit it! The Guardian is a longtime supporter of imperial America and Britain, including their endless wars of aggression, smashing sovereign independent countries unaccountably. If brought before a legitimate independent tribunal, Russia would be exonerated straightaway – Washington and Britain declared guilty as charged!